I haven't worn skinny jeans or anything clingy on my legs for what seems like forever. For the most, I think leaving my corporate job and not having to wear tights everyday is so freeing that I've been opting loose fitting bottoms. In the next post I'm going to try squeeze myself back into them and hope I don't hate it because I have so many pairs of them. 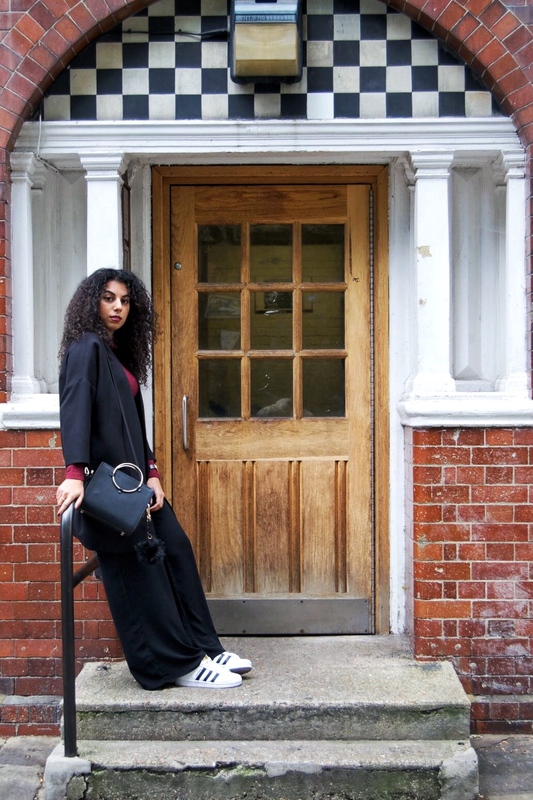 These wide leg trousers are so comfortable, apart from the little chill you get up your leg, I love how they add another dimension to this monochromatic look.